Residents have decided not to change the name of their village which has become synonymous with the deaths of four army recruits. In a recent survey people living in Deepcut, near Deepcut barracks, rejected an option to rebrand the area. The Royal Logistics Corps (RLC) is to leave the Princess Royal Barracks, near Camberley, in 2013. The site has been judged suitable for housing and is due to be sold off when the army leaves. Surrey Heath Borough Council has been circulating questionnaires to residents to give them a chance to help shape the future of the site. 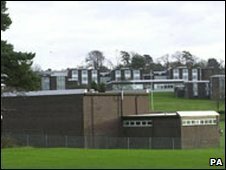 Deepcut, where four soldiers died in shooting incidents between 1995 and 2002, has been the home of the RLC since is formation in 1993. Ptes Geoff Gray, of Seaham, Co Durham, Sean Benton, 20, of Hastings, East Sussex, James Collinson, 17, of Perth, and Cheryl James, 18, of Llangollen, Denbighshire, all died of bullet wounds at the training base in separate incidents. Inquests into the deaths recorded a verdict of suicide in Pte Benton's case and open verdicts for the other three. After the barracks close, the Ministry of Defence will retain adjacent training areas and service family accommodation.